Harrison Ford is Back as Han Solo in LEGO Star Wars: The Force Awakens Game, Now Available. LEGO and Star Wars fans have been patiently awaiting the release of the highly anticipated LEGO: Star Wars The Force Awakens video since the game was announced back in early 2016. 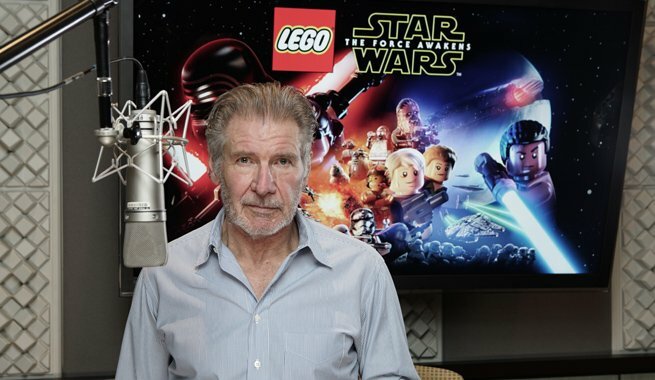 Well, today is the day that it’s available for purchase and actor Harrison Ford will make his video-game debut, reprising his role as Han Solo in minifig form. Read on for more. Our coverage of the LEGO Star Wars: The Force Awakens video game is coming to a close and we’ve got one final character vignette to share with you. The final character vignette features Harrison Ford and his Wookie sidekick Chewbacca. According to People magazine, fans may not know the famous captain of the Millennium Falcon recorded original dialogue which is featured in the new video game. Ford reprises his role as the swashbuckling Han Solo and joins several other actors who also make vocal cameos which include Carrie Fisher, Adam Driver, Daisy Ridley and John Boyega. The game, available now, boasts several exciting new adventures as well as containing the epic battle scenes that made the film Star Wars: The Force Awakens the blockbuster smash hit with fans across the globe. Just a few day’s ago a press release from the game’s creators, and details about gameplay and playable characters was announced via Warner Bros. The official press release included a few comments from some pretty big players regarding the games launch. The Han and Chewie – LEGO Star Wars – The Force Awakens Game – Character Vignette can be seen below – and the game is out today. One More Thing: Over at official Star Wars website is a new piece called “The Bricks Are Calling to You: Inside LEGO Star Wars: The Force Awakens”. Go behind the scenes with Starwars.com as they sit down with Game director Jamie Eden as he talks about the latest entry in the bricks-meets-blasters saga. You check out the full interview here. 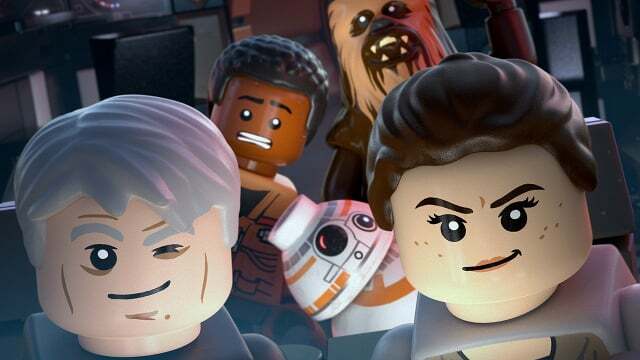 The LEGO Star Wars The Force Awakens is available to play on pretty much all platforms including PlayStation 4, Xbox One, PlayStation 3, Wii U, Nintendo 3DS, Xbox 360, PlayStation Vita and PC. Check back for more Star Wars news here at SWNN.